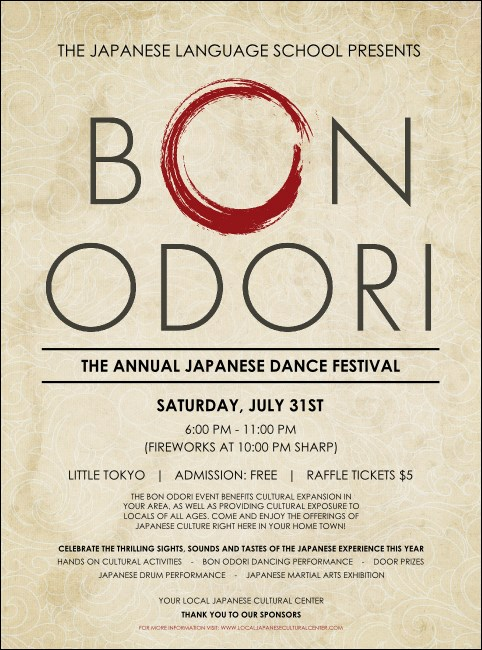 Present your upcoming Obon festivities to the community with the Bon Odori Flyer. The warm, flaxen background and striking typeface will draw folks in, while your event’s details will have them keen to attend! To personalize to your upcoming event, navigate to the customize tab above. Find customizable flyers of all styles and themes at TicketPrinting.com.